DONATIONS are flooding in to help Queensland's battling farmers who are in the grips of a crippling drought with some local councils not experiencing rain in a number of years. 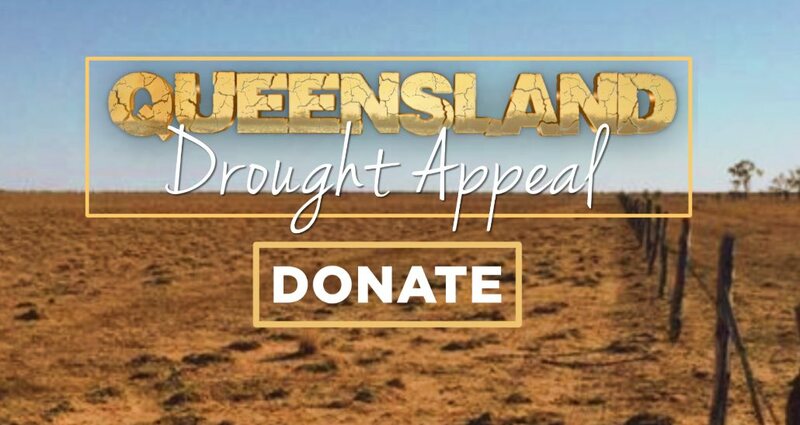 Premier Annastacia Palaszczuk kicked off the Queensland Drought Appeal by donating $100,000 on behalf of all Queenslanders. The Courier-Mail and Sunday Mail, along with regional News Corp titles across Queensland including this one, have joined forces with 7 News and the Queensland Country Womens Association to launch the appeal after a wave of public awareness about the issue. Energy giant Santos was the first major company to join the cause, pledging to sell off 21 head of cattle at the Ekka, with all proceeds going to the appeal. It is expected around $40,000 will be raised as a result. Shell pledged $100,000 to the appeal but expect the figure could grow by a further $50,000 based on contributions from Shell employees. "We know regional communities are doing it tough at the moment with over half of Queensland in drought," Managing Director and CEO Kevin Gallagher said. "Helping each other out is what good neighbours do, and that's why we're pleased donate the proceeds from the sale of 21 Santos cattle here at the Ekka today." The Queensland Parliamentary Media Gallery has also contributed $25,000. Ms Palaszczuk said the money would be raised for the Queensland Country Women's Association, who could then distribute it on a needs basis. "There are over 200 Country Women's Association branches spread right throughout Queensland and these organisations are able to meet with the families one-on-one and get that money out the door to where it is needed the most," she said. With almost 90 per cent of the state in drought last year, Ms Palaszczuk said it was important to support the appeal because she did not want to see Queensland farmers miss out on funding on the back of a wave of public awareness lately. "We've been experiencing drought now for a number of years and we have put in place $670 million over those five years, we haven't forgotten our farmers, we have been making sure they are getting the assistance they need," she said. Opposition leader Deb Frecklington said she supported the appeal, but called on Ms Palaszczuk to scrap her "anti-farming" Vegetation Management laws in an attempt to help those doing it tough. "It is important that we stand beside our Ag producers and our farmers, this is something that the LNP have been calling on," she said. 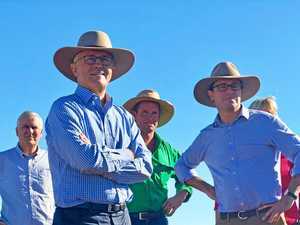 "There are parts of Queensland that have been in drought for nearly seven years, it is vitally important that we stand beside our farmers and we support them." IT'S been a drought like no other on Bunginderry station west of Quilpie. 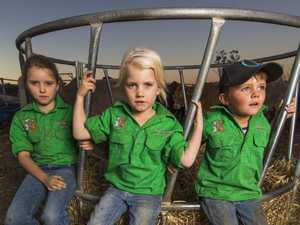 Fifth-generation grazier Stephen Tully said the family had done what it could to prepare for the drought but, after six years, the land and their resources were just about spent. He said any help from the city was welcome - even knowing someone cared. "It is always rewarding to know that people actually care," he said. "I think that's the greatest thing. "When you can feed maybe your stud rams or the cows or even some of these poddy calves here and keep them happy, it does give you a bit of a reprieve and it does make your day easier at the end of it." 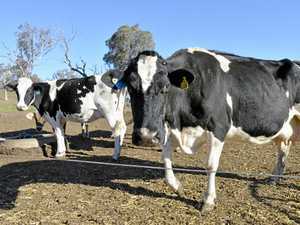 Mr Tully said he had been forced to take steps he had never used before, taking calves off their mums early and hand feeding them in the yards to give them a head start in the dry and give their mothers an early break from rearing the small cattle. As he sat not far from the dam, which has dropped too low for his kids Harriett and Hugo to use the flying fox he built safely, Mr Tully said the killer drought was hurting entire communities. 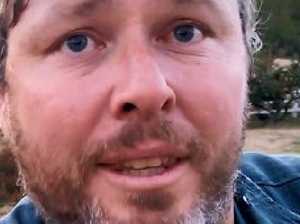 He said the local Quilpie league team had folded because no one could afford the time to play. It was just one part of the social fabric that was wearing thin, he said. Without sport and other events, it was hard to attract and hold young people in the country. "It's a wearing down," he said. "It's been a long grind, a wearing down sort of drought." Mr Tully said he and wife Annabel, who was away training to be a nurse, would make it through but his biggest worry was schooling his kids. Being so far west, there was no option but boarding school. "The biggest worry, and the biggest hurdle, is we have three kids at boarding school, we don't have any choice on that," he said. He said this drought had forced him to consider leaving the land for the first time. "I'm still hoping and planning for the best but it's definitely crossed my mind," he said. "The last five or six years have been tough. "We started with all the fat in the system, the drought preparation was there but that's all gone now. "This is the not the worst year we've had but we're not prepared for this one because all the money we had put aside has all been used up. "And that's also the land as well. The land gets robust and there's dry feed but that's all used up as well."